2. 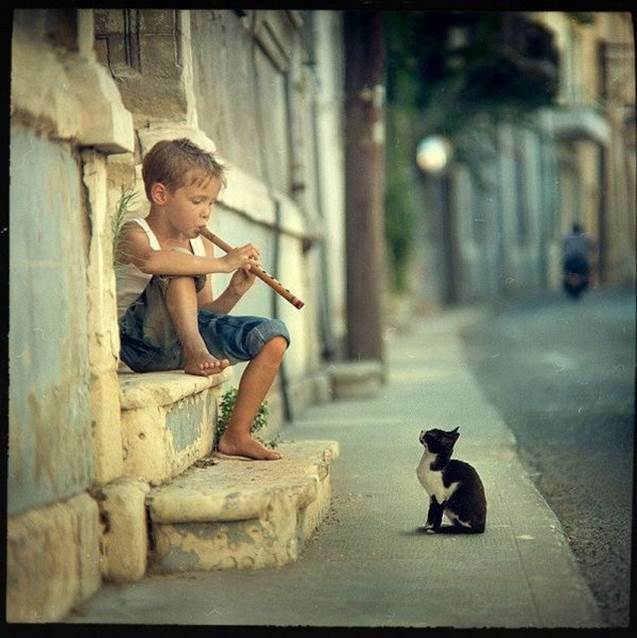 Full scale image shown of: Cat listening to boy playing flute. Picture Category: Education Photo .